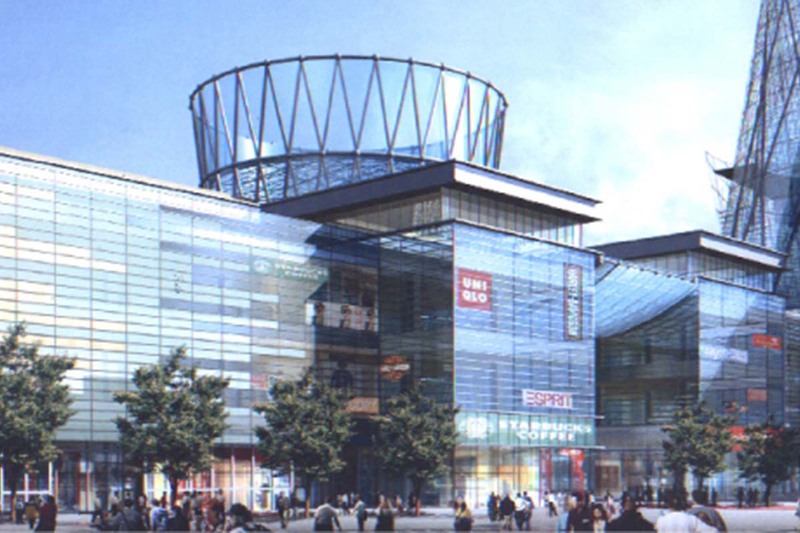 This new mixed-use development covers most of its approximately 104,000 m² site. 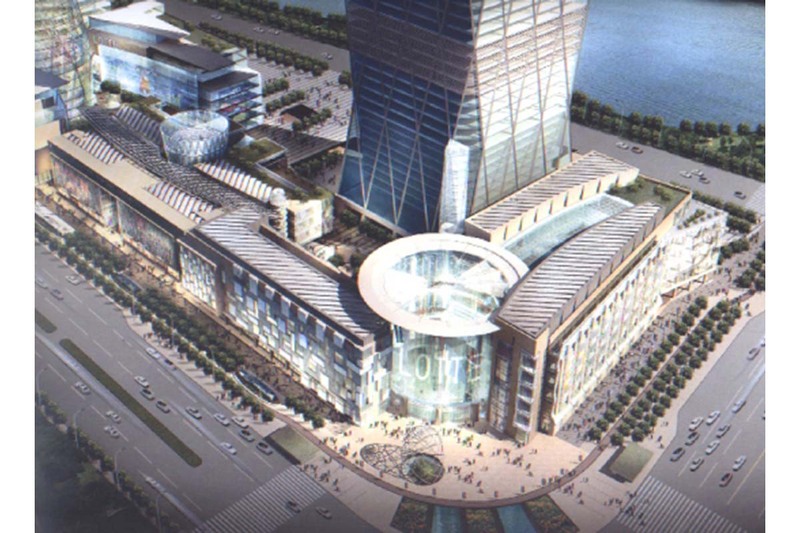 The 200,000 m² commercial area is divided into three different complexes, one for high end retail to the west, one with restaurants and medium level retail stores in the center and to the east a leisure complex with cinemas and restaurants. 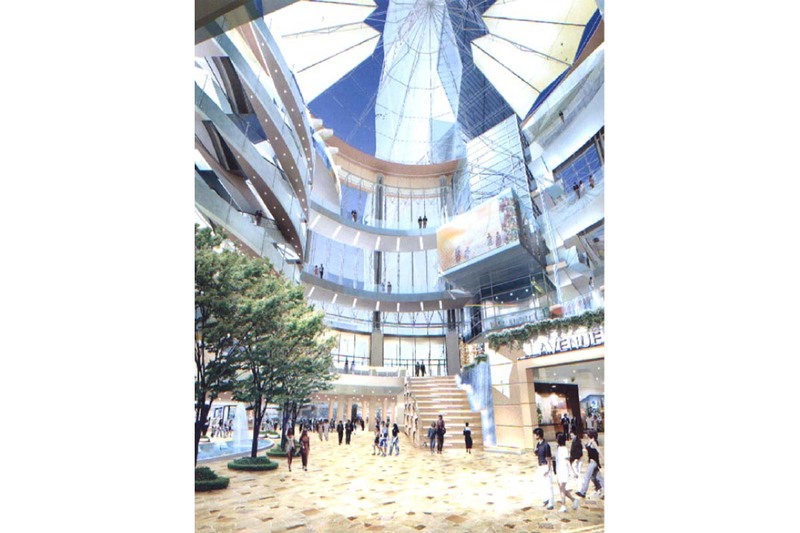 The entrance on the northwest corner is a translucent cylinder embedded between the high-rise tower and the two wings of the high-end retail shops. 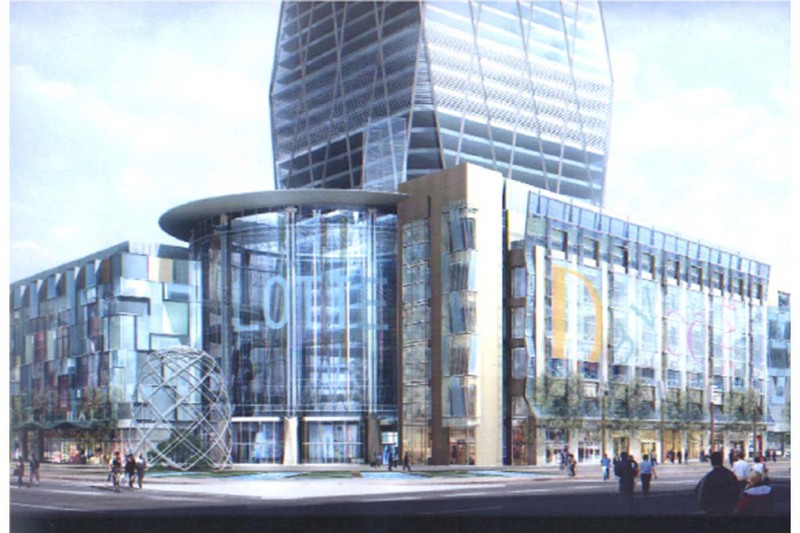 The 11-story complex is built on top of 4 levels of underground parking. 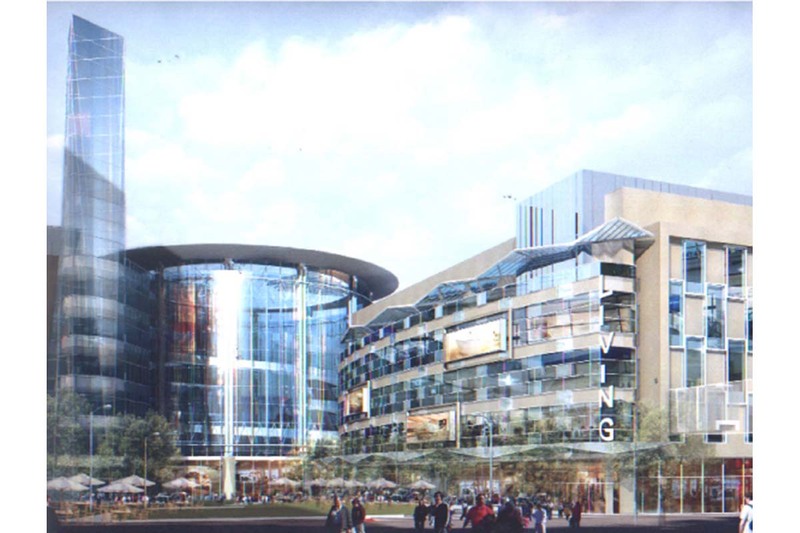 The central retail building has open-air access areas and glass-covered arcades between the north and south wing. 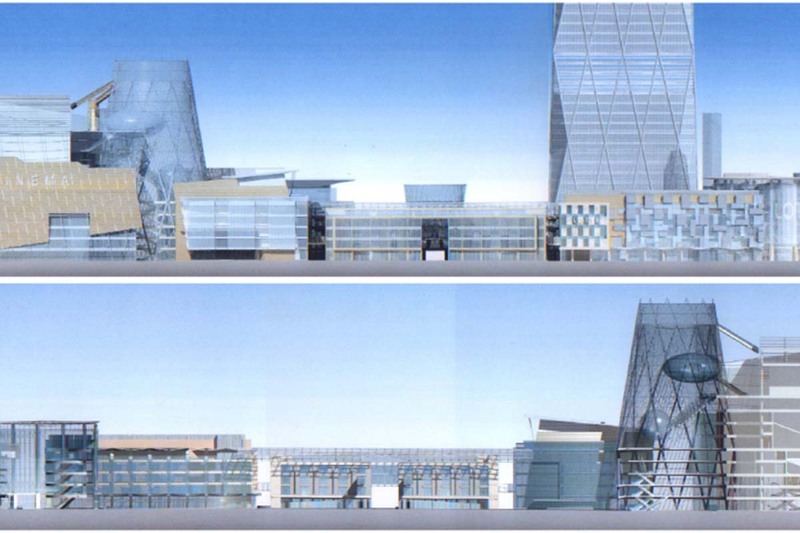 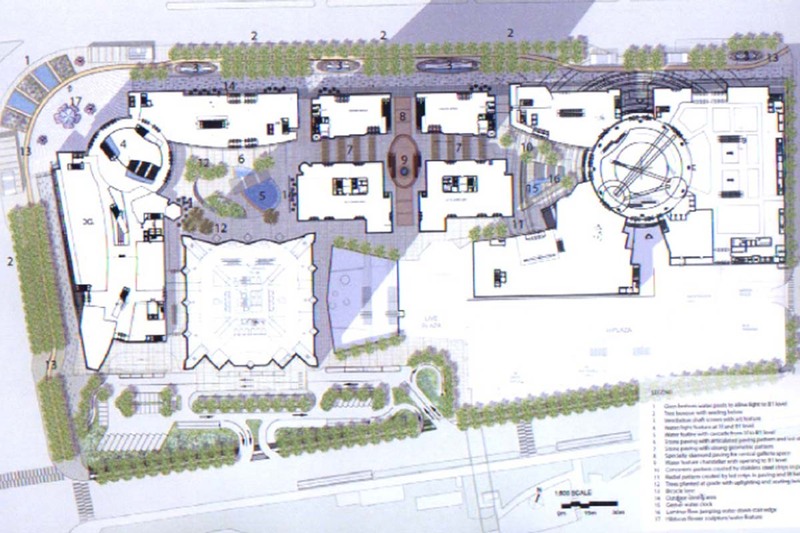 The main component of the eastern building is a central conical glass-structure around which the sport facilities and cinemas are located. 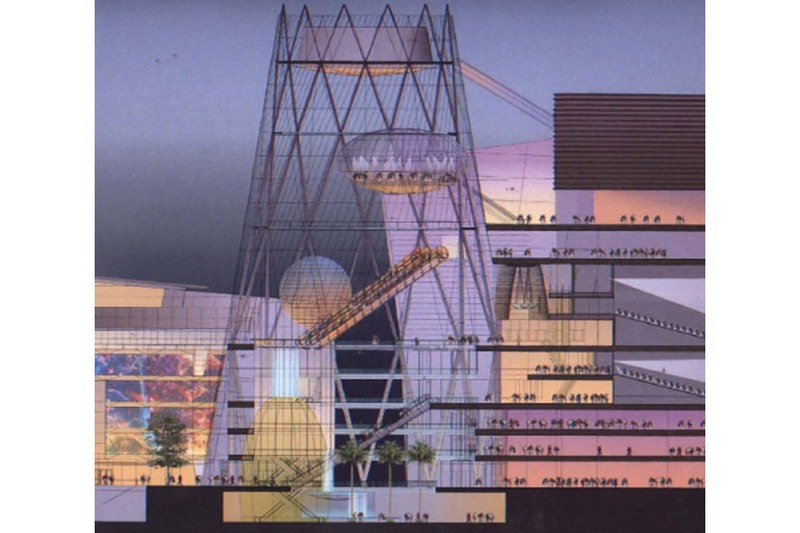 Inside this glass-structure are escalators and balconies as well as a floating glass-bubble which encloses a signature restaurant.